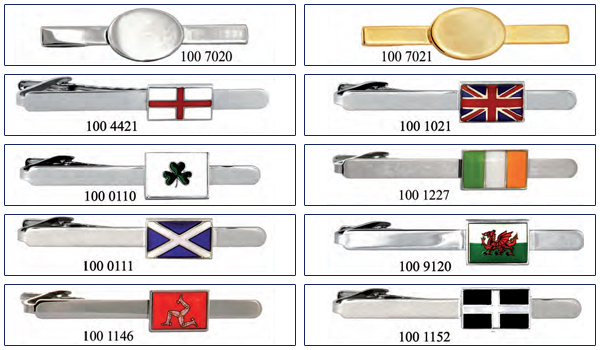 Our comprehensive range of mens jewelry includes the latest designs in Men's Tie Slides using enamels and gemstomes. Specially created by our UK designer, these original tie slides make perfect personal gifts for men. They come individually boxed and can be ascribed your logo. Includes flags and national emblems.